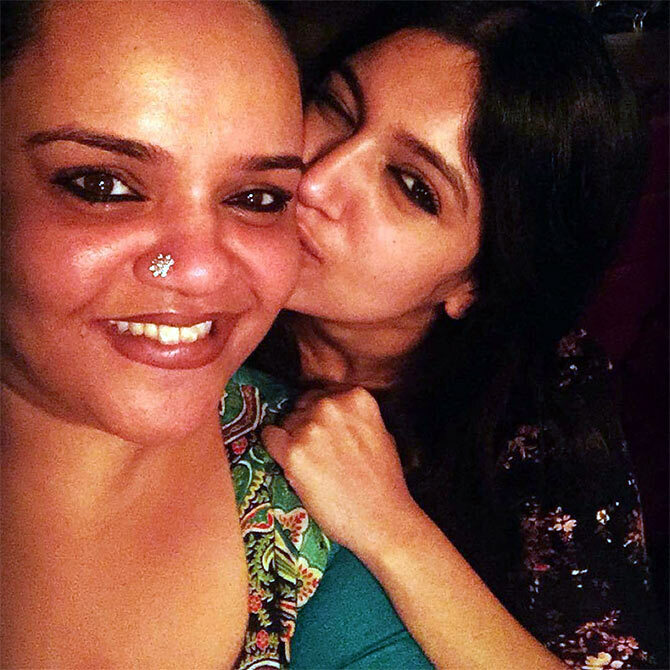 Ronjita Kulkarni/ Rediff.com comes away impressed with Bhumi Pednekar. "I am living my dream," Bhumi Pednekar says confidently, as she sits across me at Yash Raj Studios in Andheri, north west Mumbai. "I knew I would get a film and that my life would pan out this way. I knew it. And I'm living it now," she adds. The young actress has won awards for her performance in Dum Laga Ke Haisha, and she knows she's very good at her work. Yet, the Mumbai girl remains completely modest. She greets me with a hug, calls me "Ma'am" throughout the interview, and even lets her lunch grow cold as she finishes our conversation first. Bhumi's dream of becoming an actress started when she was 12 years old. "At 16, I reached a point when I knew that if I didn't get into this field *now*, I would be shipped off abroad to pursue my studies. And I couldn't have survived that," she says animatedly. Despite their concerns, her parents supported her. "I told my mother I wanted to be an actress and the next thing I know is that I'm studying in a very expensive film school. My dad was so protective that he never let me enter the kitchen because he thought something would happen, but he agreed as well," Bhumi recalls. So Bhumi went to Subhash Ghai's acting school Whistling Woods for a year. "At 16, I don't know if I grasped anything because I was too young to take film school seriously," Bhumi says. "My parents told me this is it. That's when it hit me that I got an opportunity but I spoilt it." A friend told her that Yash Raj Films was on the lookout for an assistant casting director. She applied for the job, and got it. Her first "boss" was Abhimanyu Ray (who has cast for films like Chak De! India, Rocket Singh: Salesman Of The Year and Teen Patti among others). Then, she joined star casting director Shanoo Sharma's team. "I was a teenager when I joined YRF. I have worked here for six years and done all kinds of jobs. 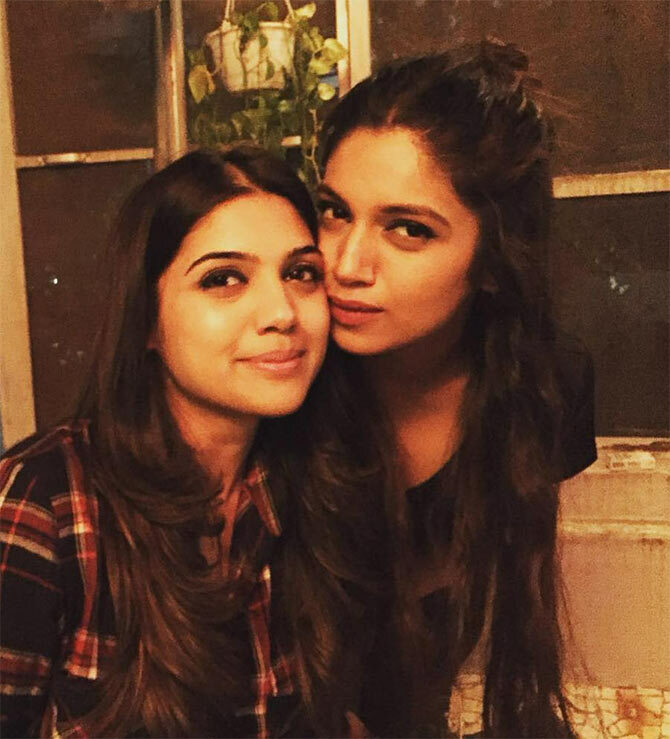 From being a casting assistant to an assistant director, name it and I've done it," Bhumi says. Then Dum Laga Ke Haisha happened. IMAGE: Ayushmann Khurrana and Bhumi in Dum Laga Ke Haisha. Ironically, Bhumi did not realise she was auditioning for Dum Laga Ke Haisha. "A lot of times actors come from outside Mumbai to audition for roles, so we send them a reference audition. So I did a mock audition and didn't realise that it was my first audition. I auditioned for the film for two months, and I really, really, prayed that I would get the role. They told me I bagged it on my birthday!" Bhumi exclaims. 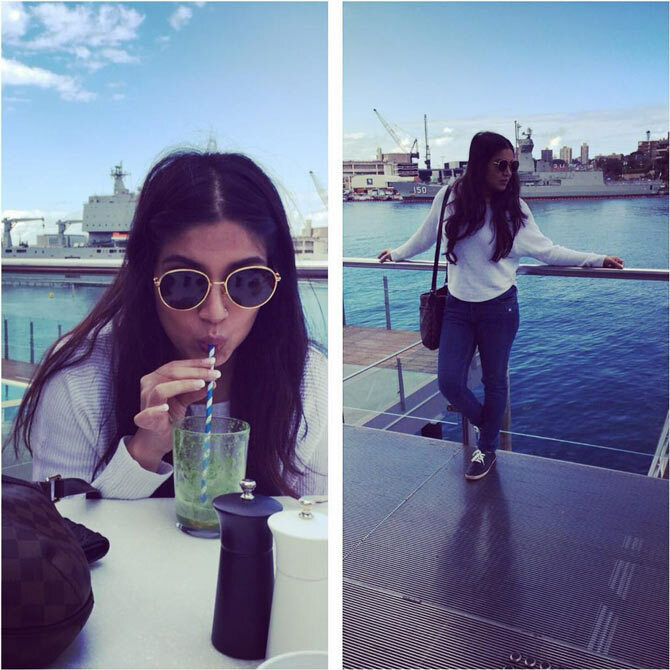 That's when the fun really started, as Bhumi got to do what she loved: Act and EAT! "I was a regular sized Indian girl before I started on the film. I weighed around 65, 68 kilos. I had to gain weight for my character, and reached 90 kilos in a year!" she says. Bhumi helped herself to butter chicken, dal makhni, pizza... "Name it and I was eating it," she says. In the film, Bhumi plays a heavy-set girl named Sandhya who has an arranged marriage with Ayushmann Khurrana's Prem who lives in Haridwar. Prem hates being married to her, hugely embarrassed by her weight. A couples' hurdle race finally does the trick, where Prem has to carry his wife on his back -- and brings the young couple together. "I don't recognise myself in the film," Bhumi says with a laugh. "Sometimes I feel wow, that's you!" As if to remind herself, Bhumi has watched the film more than 35 times. "I've even watched it alone in a theatre many times! Ek point ke baad, sab pak gaye (after a point, my friends got bored). 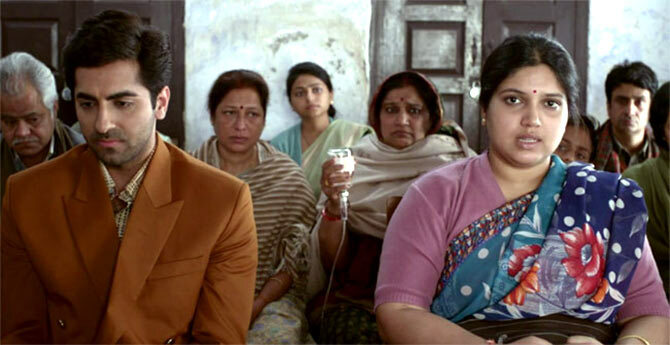 'Bhumi, we know you're in the film, but how many times will we watch it?" she says, imitating her friends, and bursting out laughing. The film won her many awards. "Awards are extremely important to me because it's my first film. Actually, I didn't know how many people would actually notice the film. It was a big risk for me and when your work gets appreciated, it's very motivating," she says. "The only thing I said to myself was, 'Bhumi, don't trip.' It's my biggest fear that one day I'm going to trip on stage. Besides that, I was really hoping that I thanked everybody," she laughs. With the film behind her, it was time for the actress to lose all the extra kilos, and it took her all of 10 months. But Bhumi, who orders a paneer bhurji for lunch, never starved herself. "I have a very active life and a balanced diet. I work out four hours a day -- I do a lot of swimming, dancing and gymming... I had paneer bhurji even when I was reducing weight. Sundays were my cheat days, and I would have pizzas or butter chicken or paneer or tadkewali dal." I gave up wheat in those days," she adds, "but I would still have three rotis a day -- made of bajra or jowar or nachni. But I did have a healthier life -- instead of ghee, I used olive oil. I gave up white rice." "It's a mindset change, but you get the hang of it after some time. My mother is my dietician. 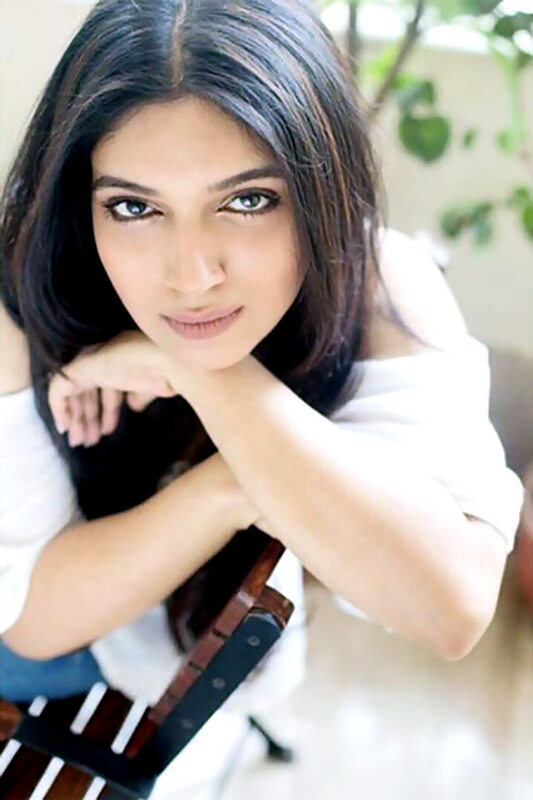 She is the reason I lost weight," Bhumi says. Her mother has always maintained a healthy lifestyle in their home. "We weren't allowed cold drinks and chocolates when we were younger," Bhumi says. "A glass of Coke was a luxury. Today, we have become even more conscious of what we eat. From the bread to the cookies, everything is baked at home. We try to make it as organic as possible." Bhumi credits her Maharashtrian father and Haryanvi mother for her success. "My parents always told me that we won't get you married until you are independent. Women have always been celebrated in my house," she says. Bhumi did her graduation in commerce via correspondence because that was the only thing her parents wanted. "I fared very well because I've always been very good in studies," Bhumi makes sure to add. The diet, besides an acting career, is probably the only change in her life. "I still fight with my sister. I still get scolded by my mom. I still travel by autos sometimes. I still have my regular pani puriwala," she lists. "Fashion has always been important to me. I love beauty and makeup, and I'm very good at it. I love dressing up. I was that girl who took two hours to dress up even before I became an actress. But I have access to better clothes now," she says. So what was the first thing she splurged on when she got her first pay as an actress? "I gifted my younger sister Samiksha a term in a university against my parents' wishes. She is studying law at the Jindal Global Law School. It is a very fancy university for lawyers and I wanted to contribute to her career in some way," the big sister explains. Will she ever move into a fancy home, like her contemporaries have? "I will never move out of my home," Bhumi says empathetically of her Versova, north west Mumbai, home. "I will always live with my family. I have grown up there and have a lot of memories." The people at YRF don't treat her any differently either. "I've worked with them for six years so closely," Bhumi explains. Bhumi knows everyone at the studio, from the folks at the canteen to the security personnel. Even as she chats with me, she waves hello to an elderly gent, who she says, is a member of Ranveer Singh's team. Bhumi has already started working on her next film, Manmarziyaan, directed by her "genius" Dum Laga Ke Haisha director Sameer Sharma and starring Ayushmann. It also stars Masaan actor Vicky Kaushal. A love story set in Punjab, the shooting will start this month. Until then, she is busy with acting workshops, Punjabi diction classes, motorbike lessons ("I can ride a Scooty already!") and learning hockey, all required for her character. "I'm doing what I love. I'm very content," Bhumi flashes her radiant smile and bids me goodbye.